Art, architecture, and geometry come together in spectacular creations. 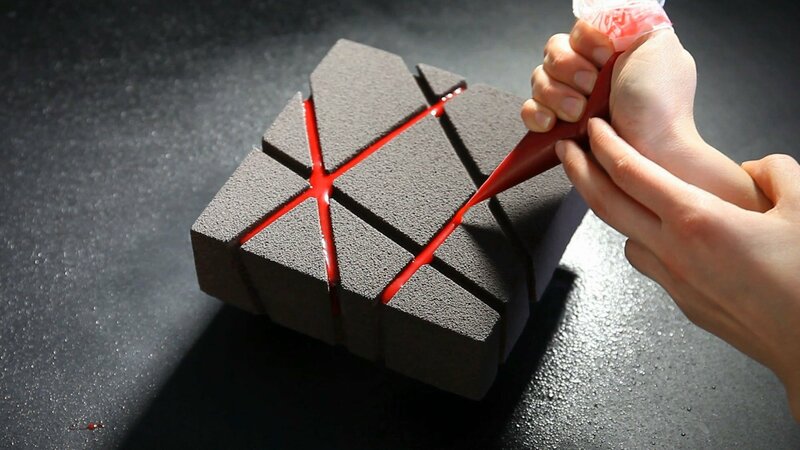 The world of sweet treats has taken a creative turn lately. We previously wrote about the ultra-limited edition of modular chocolates created by an Australia design studio, and now we’re happy to introduce you to Dinara Kasko. 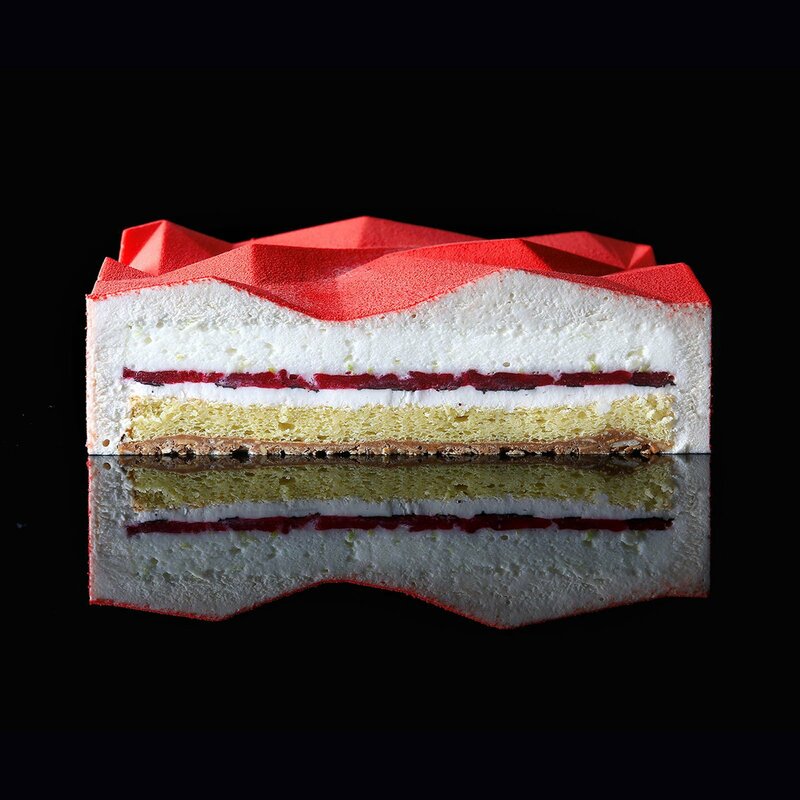 This talented Ukrainian pastry chef has a background in architecture and 3D imagining, which explains the striking look of her pastries and geometric cake designs. 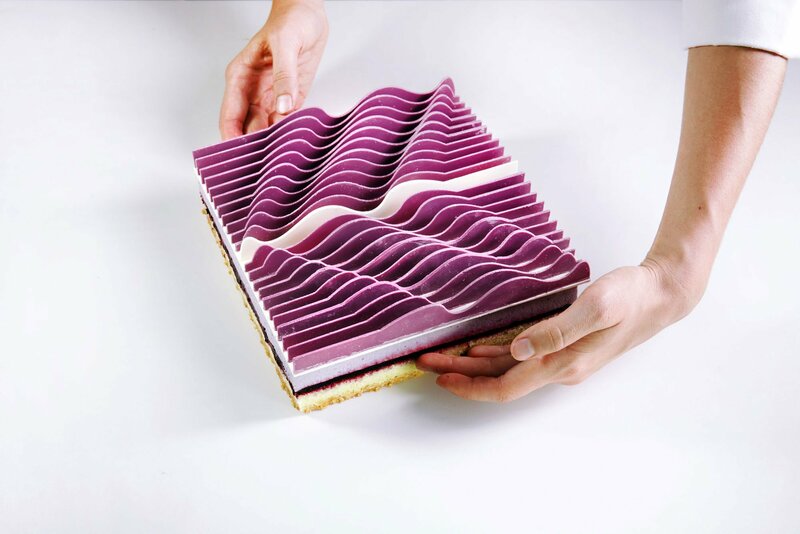 After completing her studies at the University of Architecture and Design, and working as an architecture-designer for a few years, Dinara Kasko realized that her true passion was actually baking. 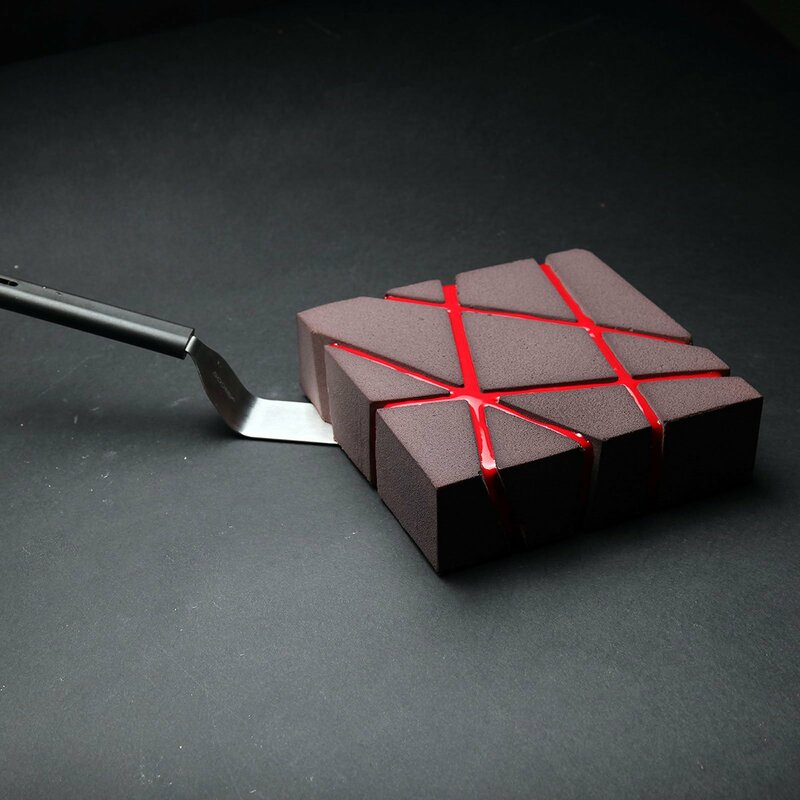 Determined to bring something fresh to the industry, she began creating cake molds. First, she uses a graphic algorithm software before 3D printing the shapes, and finally making the silicone molds. Then, with the help of flour, butter, and eggs, the real magic happens. Sharp angles, clean lines and geometric shapes define these masterpieces, although some also feature spherical volumes and more organic designs. Kasko takes inspiration from both architecture and art, using her eye for volume and form to make the distinctive molds. Safe to say, her cakes and pastries always look spectacular. 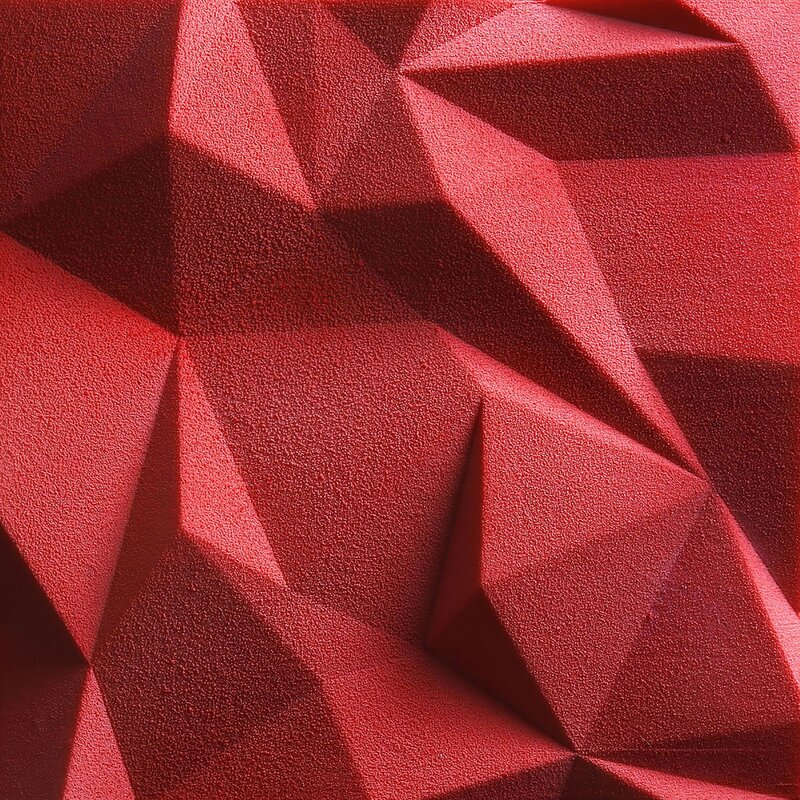 For example, Kasko designed a stunning 81-piece cake for Ruby Chocolate which featured unique pyramid-like shapes brought together into one composition. 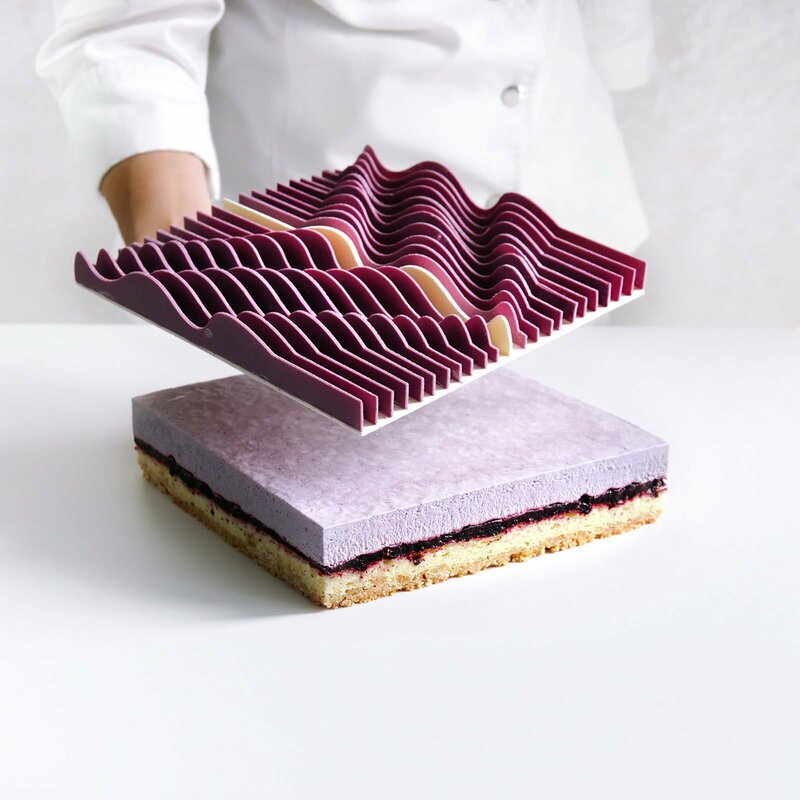 The pastry chef also collaborates with other creatives to make sweet works of art; she partnered with Miami-based artist José Margulis to create a geometrical kinetic tart for SoGood Magazine. Chefs around the world already use Dinara Kasko’s molds, but amateur cooks also have access to the designs. Apart from online classes, the chef’s official website offers a selection of original molds. That way, anyone can create their own sweet masterpieces. Photographs© Dinara Kasko.